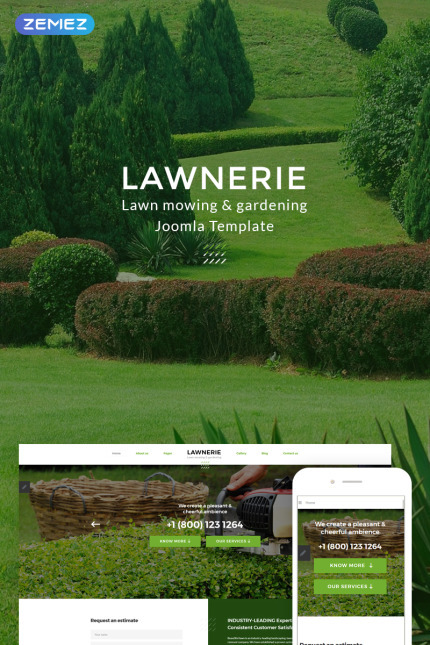 Fresh and clear, like the smell of freshly cut grass - that is how this Joomla template makes the visitors feel like. It looks very organic and natural - just as the landscape design agency should look like. When hiring an exterior specialist, you want him to create a natural miracle in your garden, don't you? So, this template will make your potential client understand that your company really could provide him with a gardening miracle. It will also be a useful tool for you as a website owner. The contact form is placed right after the top slider, so your clients won't miss it. The gallery could serve as a portfolio to show your visitors the work you've done for other clients. Such details always do the job and inspire viewers.